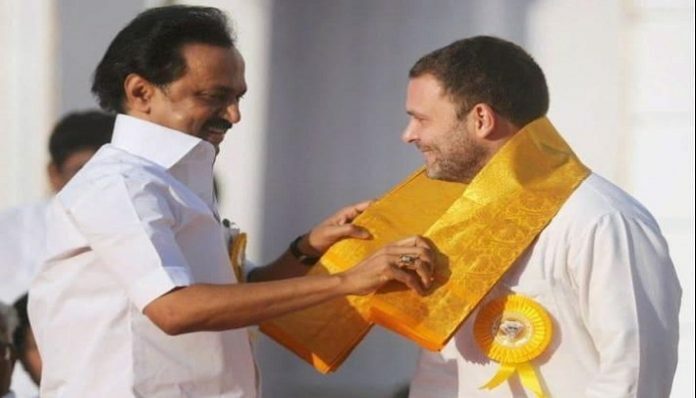 Chennai: Congress President Rahul Gandhi on Friday said that he would never let people of Tamil Nadu to be ruled by Nagpur, a reference to the RSS headquarters in the city. He added that Dravida Munnetra Kazhagam (DMK) chief MK Stalin will be Tamil Nadu’s next CM. Congress is fighting Lok Sabha polls in alliance with DMK in Tamil Nadu.